Today, my wife, Shirley, and I finally had a chance to visit the Collector Car Showcase of Oyster Bay. Located on the North shore of Long Island, NY, the showcase is a treasure trove of automobilia including original dealer and automotive brand signs and gas pumps and more. In addition, a regularly changing inventory of collector vehicles is on display for car nuts like us to drool over. We had the good fortune to have the Vice President and Director of Marketing, Bobby Sands, walk us through the displays, providing interesting information about the signs and the cars that filled this vast space. Sands knew a little bit about just about everything in the building and he also gave us a quick, private, tour of the privately owned collection of cars housed on a level below the showcase floor. 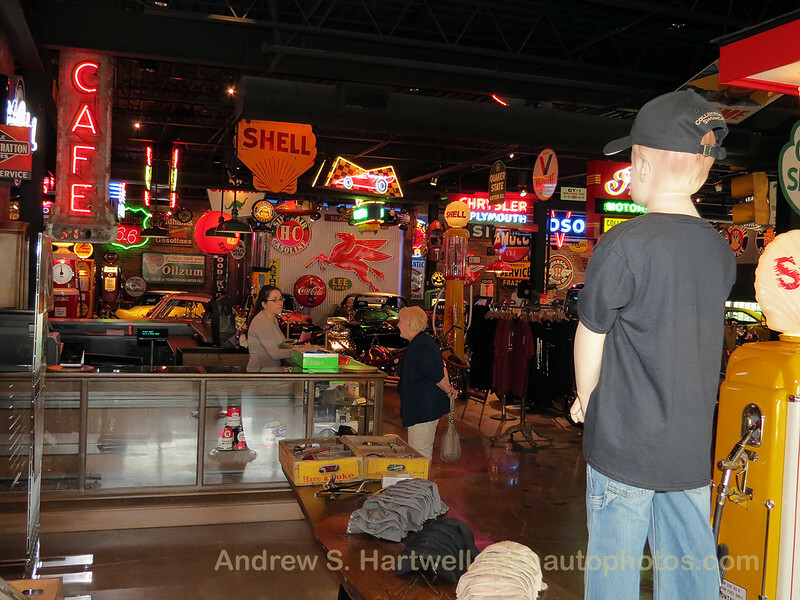 Here we saw a Bricklin, several models of Porsches, two Ferraris and a private slot car track. One especially unique vehicle in this private collection was a Porsche tractor!